It seems a bit early to locate the precise hour of President Obama's State of the Union Address to a joint session of Congress scheduled for the evening of January 25, 2011 or perhaps the time isn't yet settled, but an early peek at two possible horoscopes for 8:00 pm est and 9:00 pm est on that evening in Washington DC shows Sun in Aquarius with a 29th-degree Moon in Libra in both charts. Moon 29Libra in crisis or critical degree describes dire straits for the American people in similar fashion to US Inaugural Moon 2009 (29Sco45) as the Moon strains toward the next sign (Scorpio) but with Moon (we-the-people; the public; our daily lives) ruled by Venus (mental Libra) here rather than by Mars-Pluto (emotional Scorpio) on Jan 20, 2009, the State of the Union in January 2011 may be Aquarian from a leader's standpoint, but the people remain in crisis mode, Mr. President. So if the Jan 25th date holds firm, we may preview SOTU 2011's energies by considering a few planetary factors along with Jan 25's Sun-Moon blend of the address for it doesn't depend on an exact hour since the Moon remains in Libra. If SOTU 2011 starts at 9:00 pm, 20Vir18 rises with Fixed Star Denebola (to go against society; out of the mainstream) along with VP Biden's natal Midheaven; if the affair begins at 8:00 pm or so and lasts until 9:00 pm, Denebola's influence will be applicable. Sun AQ-Moon Libra is an Air-Air combo indicating graciousness and reasonableness, culture and elegance. Air-Air assumes independence as a right (a typically American theme.) This is the combination of the natural communicator who likes to soar into ideal realms where political, social, and philosophical schemes are invented to improve life (at least in theory.) Yet human feelings tend to be avoided and a keyword for double Air is cerebral. Therefore, we may expect broad and intelligent viewpoints to be uplifted in SOTU 2011 with clever arguments woven together lacily, and though pundits will say what pundits will say, we the American people may find ourselves hungry again an hour later. In the end, President Obama's approach as touted in SOTU 2011 may be considered too abstract to do our crisis-ridden populace much practical good, though most people agree that even when pragmatic and useful, the president's initiatives are tiresomely opposed if only because they issue from a Democratic administration. Plus, a SOTU Address isn't meant to be a laundry list of to-dos and already-dids as George Bush seemed to use it but a presidential report on how the nation is doing at this point and as a whole. Given the times we live in, this may be a tough sell no matter how he approaches it and personally, I wouldn't want the job, would you? Since addresses, speeches, messages, and orators are ruled by Mercury, I should note that Mercury is chart-ruler (Virgo) and makes only one applying aspect to a planet: a square to Saturn. Mercury/Saturn squares tend toward traditional thinking which finds it difficult to stay in the mainstream (see Denebola) of progressive or current ideas; change can represent insecurity and perhaps it is our feelings of insecurity which will be expressed by our Orator-in-Chief. Making plans to see that ideas are implemented is possible and success follows in politics, education, ecology, and science since determination is what is needed. Noel Tyl has called Mercury/Saturn the "signature of the professional writer" and squares (90 degrees) indicate that much effort and hard work has gone into SOTU 2011. Jupiter @ 00Ari37, the Aries Point of World Manifestation, has left quirky Uranus 27Pis45 behind; disturbingly, expanding Jupiter rises with Algol, a difficult star of rage and fury. "As for men in power, they are so anxious to establish the myth of infallibility that they do their utmost to ignore truth." Text of President Obama's remarks at January 12, 2011's Tucson Memorial Service. This is actually -- and I'm going with a time of 8:10 only because it usually takes that long for the President to get through the throng and onto the podium and actually begin the speech - an interesting chart. I think We, the People, are exhausted. But with what? 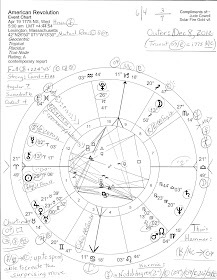 With that Moon at 29 Libra, are We tired of The One equivocating and working hand-in-hand with those who would see him fail? Or form partnerships and make decisions NOT in Our best interest? Or are We tired of trying to find Balance in what has become a toxic environment? It's an interesting question. But that Sun/Mars conjunction could be fascinating. With that duo conjunct the US South Node, how will that Sun express itself? Tied to Mars, I suspect he'd like to come off as strong and daring. The Leader who is undoubtedly In Charge and, of course, masculine and powerful. The Winner. A possible trine to the Midheaven (dependent on time) would support that. 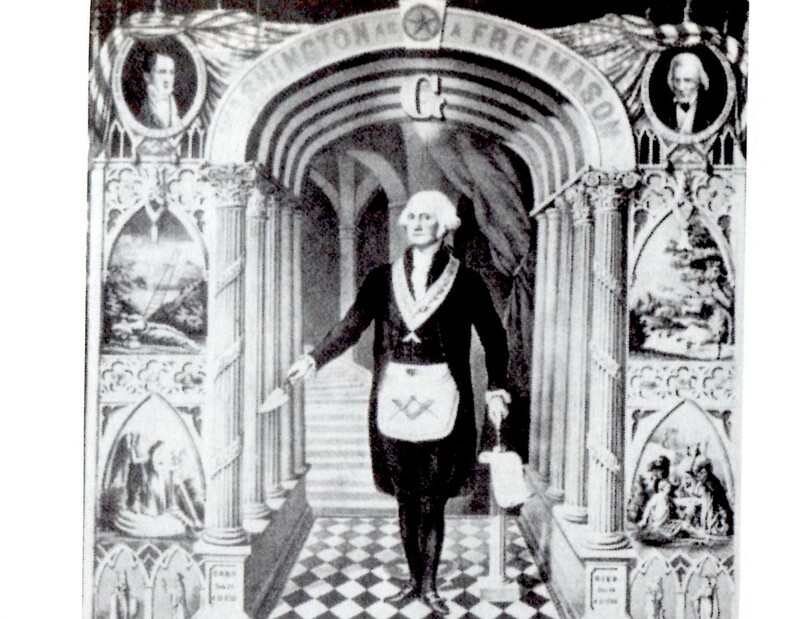 In this climate, though, with his recent entreaties to "play nice" and most people gut checking their own involvement in the Politics of Personal Destruction (to resurrect a phrase from the '90s), it may be difficult for him to walk that route, especially with the quincunx (again, time dependent) to the Ascendant. So how does that Mars express itself? He's dragging the South Node around with him, so any attempt to express himself and work with the Sun will be beset with difficulty and a lack of stability. Kind of like being strong in one sentence and then confusingly "weak" in the next. One can only imagine, coupled with that Mercury square Saturn, how the People (exhausted to the 29th degree) will hear this and respond. And with Venus in a semi-sextile to this Mercury, the rhetoric may not float and soar as easily as it usually does. It'll take some work and, with Mars finding his South Node footing, you may see flashes of irritation or anger which may work against the Image (the Sun) he's trying to express. The sextile between that Mars/Sun and Jupiter is interesting as well. This Jupiter at 00 Aries, ruling the 4th House as well as Venus, is square the Nodes in this chart as well as quincunx the Moon. So add that to the sextile with the Mars/Sun -- which are separating from this Jupiter -- and you might find, again with the Mercury/Saturn square at work, any attempts on The Leader's part to move into any sort of muscular optimism to fall on deaf ears. The Public have yet to adjust (the quincunx to Jupiter) and with the Mars/Sun having moved on from Jupiter already, Obama may try to offer too much too soon at a time when the Nation is still healing and reeling and maybe not quite ready to trust another one of his promises, having been burned before and still not quite trusting this man they thought they knew. 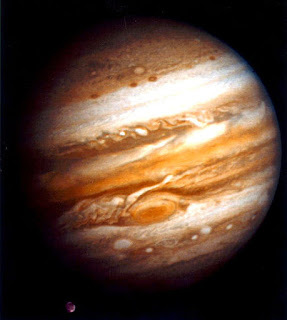 The square Jupiter makes to the Nodes definitely indicates his eagerness to move forward will be challenged. I feel as if the People will want to know HOW his promises will work in the world THEY know (reality-based Saturn forcing Mercury to spell it out and not just make promises). But the Pundits will say what they always say and with the Part of Fortune potentially conjunct the Midheaven (time dependent), it'll be well-received by those in public (talking heads, etc). But the South Node of the chart is also high in the sky, so whatever bounce Obama gets in the polls may be short lived as that Nodal energy will continue to undercut this chart even after the speech is finished.